Google, being the tech giant it is, has decided to significantly boost the security of it’s notebooks running Chrome OS. Amongst the new features, there will soon be a fingerprint scanned and a PIN code used to unlock the device. These simple yet effective procedures are simple enough for inexperienced users while at the same time provide solid security. The current Chrome OS’s security is on a relatively good level, but everything was centralized on only one authentication – your google account password. Google has decided that this is simply not enough and has decided to input new features, like the Fingerprint scanner. The fingerprint feature will simplify the way you log in to your Chromebook, because unlike a complex password that has to be typed every time, a simple slide of the finger will unlock the device. 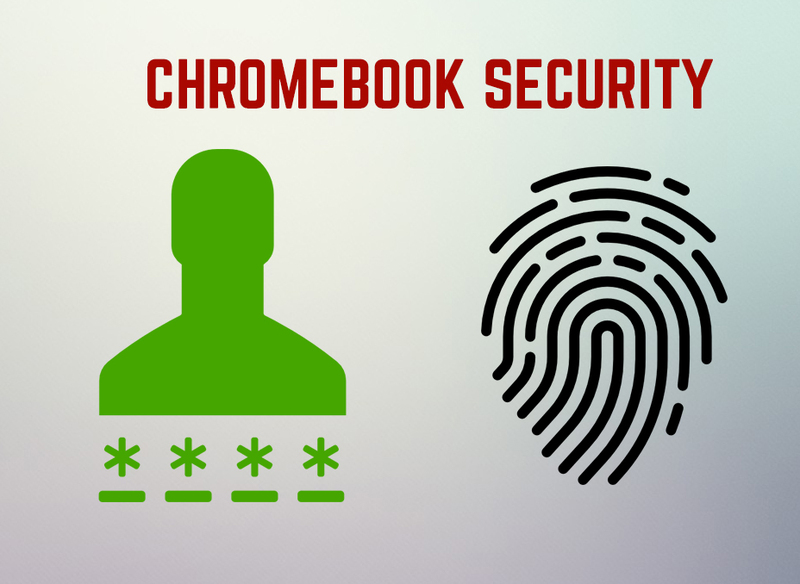 Whatever the case may be the future Chromebooks could very soon have such a scanner, and this will simplify the unlocking process and make the system more secure against external intruders. The releasing of the new security features could also be accompanied with an update of Chrome OS. It has been reported to include a new login mechanism – a PIN key login mechanism. This feature will allow users to enter a pin code to unlock a lock screen on their Chromebook device. Google has tried to make the Chromebook based on the “defense in depth” principles. The operating system itself is Linux-based, but it is also configured to have several layers of protection, one of which is the Sandboxes it uses every time an app is running. This is a very needed feature for today’s security and just like Mac OSX this sandbox code prevents external applications to influence the ran app and hence exploit it or disrupt it. Of course, sandboxing also has it’s drawbacks, but they are way less critical that it’s pros. Another feature of Chrome OS’s security is the automatic updates that update the software, similar to most Android devices, ensuring that the device is always running the latest version. In addition to those features, there is also the self-check that Chrome’s operating system performs. Google call it “Verified Boot” and it is a scanner that looks whether or not the file system of Chrome OS and it’s settings and objects have been modified by malicious software. If the OS is corrupted in any way, it automatically repairs itself. Not only this, but Chrome OS is cloud-based, making the files of the user to be stored in the Google Cloud. This centralizes the data and also increases the security of it, in case the device is hit by malware, crashes or anything else happens to it, the only drawback from this being that the important data is uploaded online. Google has always been focused on simplicity while providing security and the newly added features will additionally improve that. But on the downside, there is a big security gap – the elephant that nobody talks about – your google account. Since Chrome OS is entirely oriented on working with the user’s personal account, making everything centralized on it, this makes such an account a great target. Because unlike before, now the Google account contains files, personal information, Google+ profile and many registrations to other websites. You do not need a big imagination to figure out what might occur if a hacker takes control of this account and everything you ever did on your computer is associated with it. Threats such as Chromebook may be persistent. They tend to re-appear if not fully deleted. A malware removal tool like Combo Cleaner will help you to remove malicious programs, saving you the time and the struggle of tracking down numerous malicious files. Threats such as Chromebook may be persistent on your system. They tend to re-appear if not fully deleted. A malware removal tool like SpyHunter will help you to remove malicious programs, saving you the time and the struggle of tracking down numerous malicious files. Note! Your computer system may be affected by Chromebook and other threats. SpyHunter is a powerful malware removal tool designed to help users with in-depth system security analysis, detection and removal of threats such as Chromebook. 1. Install SpyHunter to scan for Chromebook and remove them. 2. Scan with SpyHunter, Detect and Remove Chromebook. Ransomware infections and Chromebook aim to encrypt your files using an encryption algorithm which may be very difficult to decrypt. This is why we have suggested several alternative methods that may help you go around direct decryption and try to restore your files. Bear in mind that these methods may not be 100% effective but may also help you a little or a lot in different situations. Note! Your computer system may be affected by Chromebook or other threats. Remove Chromebook by cleaning your Browser and Registry. Fix registry entries created by Chromebook on your PC. Combo Cleaner is a powerful malware removal tool designed to help users with in-depth system security analysis, detection and removal of threats such as Chromebook. Step 5: In the Applications menu, look for any suspicious app or an app with a name, similar or identical to Chromebook. If you find it, right-click on the app and select “Move to Trash”. Step 6: Select Accounts, after which click on the Login Items preference. Your Mac will then show you a list of items that start automatically when you log in. Look for any suspicious apps identical or similar to Chromebook. Check the app you want to stop from running automatically and then select on the Minus (“–“) icon to hide it. Remove Chromebook – related extensions from your Mac’s browsers. A pop-up window will appear asking for confirmation to uninstall the extension. Select ‘Uninstall’ again, and the Chromebook will be removed. When you are facing problems on your Mac as a result of unwanted scripts and programs such as Chromebook, the recommended way of eliminating the threat is by using an anti-malware program. Combo Cleaner offers advanced security features along with other modules that will improve your Mac’s security and protect it in the future.